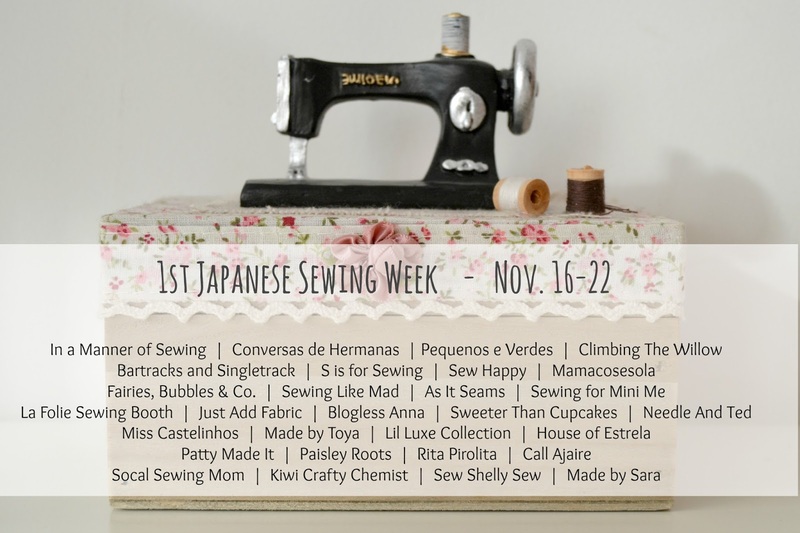 It’s nearing the end of the first official Japanese Sewing Week and I’m thrilled to be a part of it. Sara from Made by Sara is hosting and there’s a great giveaway at the end so you should all join in the fun! I have a couple of Japanese pattern books and I love the style. The instructions are usually minimalist illustrations, but that works really well with my brain. 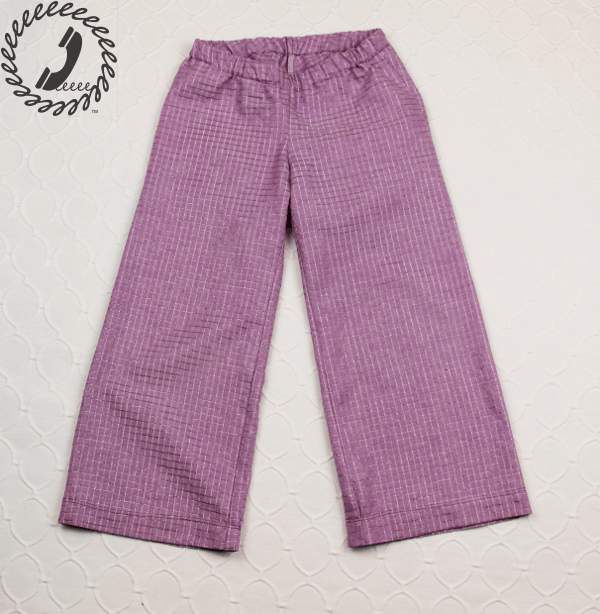 I decided to sew a quick pair of the Wide Leg Pants (Pattern O) from Happy Homemade: Sew Chic Kids (*affiliate link) which is one of the Tuttle Publishing books that has been translated into english. But if you’re afraid of trying out a Japanese pattern without knowing the language, you could always use the new Google Translate app. It’s pretty amazing and I can’t believe how well it worked with the pattern I used a couple of weeks ago for this post here. Bean won’t stop growing (I asked) so she is once again in dire need of pants. I thought these wide leg pants would be a great addition to her fall heading into winter wardrobe. They sew up really quickly and have a comfy fit. 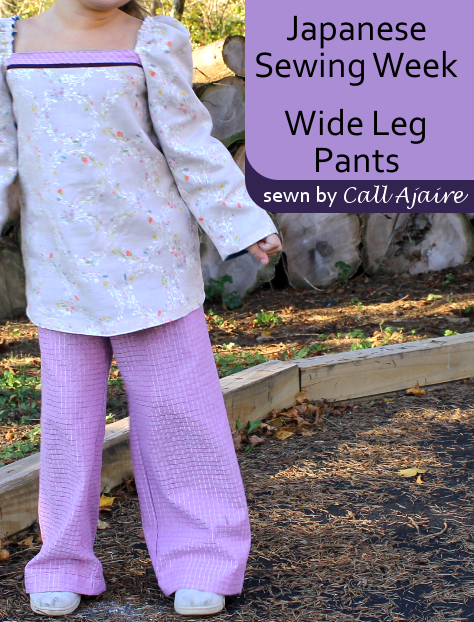 The wide legs make them feel a little pajama-ish, but that’s part of what I like about them. The back has two cute pockets that make me love the style even more. 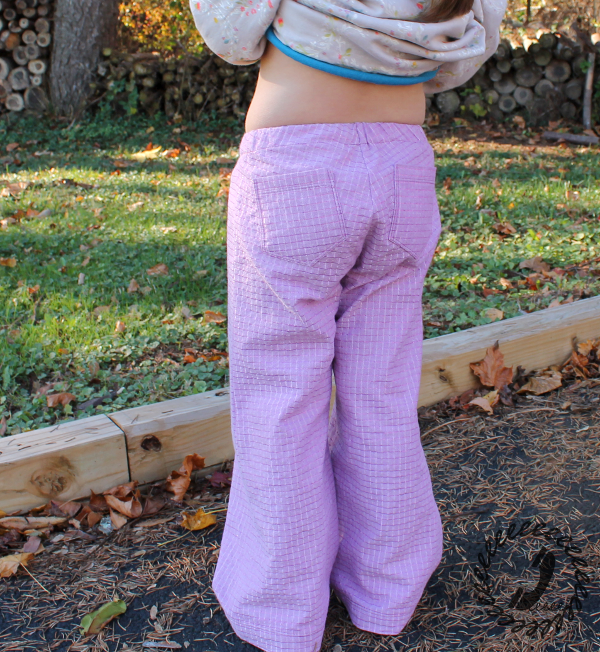 I used some of the Loominous by Anna Maria Horner fabric I’ve been hoarding and Bean was really excited about her sparkly purple pants. I bought the fabric from Imagine Gnats (*affiliate link) and as of the moment I’m posting this it’s on sale! 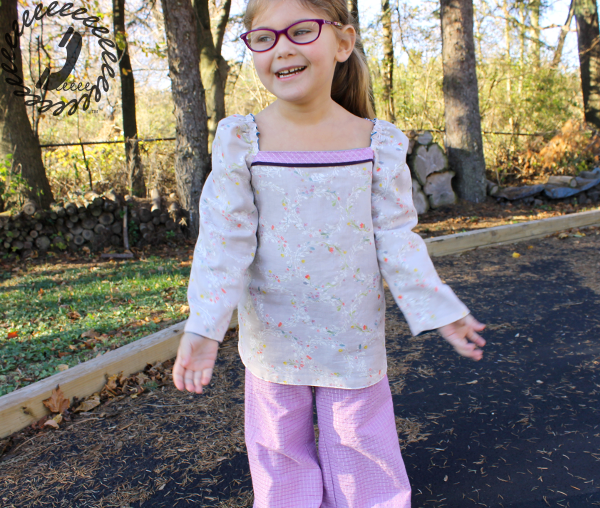 Paired with a long sleeved Paneled Sunsuit tank-turned-tunic, Bean refused to take this outfit off. She looked so cozy all day and yet still stylish. I think the wide leg would look great with a top that’s a little more snug or with a cardi too.